Batch drying without Stir-rite machine: With this system the aeration floor of the silo is filled only to around one meter and the batch dried and then unloaded and a new batch loaded. 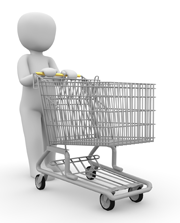 These batches are relatively small and require a lot more management to ensure the system works well. This is an older system, very seldom used any longer. High Volume Airflow combines with low static pressure, low temperature drying and low horsepower requirements to efficiently and safely dry grain. Few Moving parts means low maintenance. Leveling rings lets gravity do all the work; no interior augers are used. Dump Spouts dump the grain from the drying chamber to the cooling floor below. Again gravity does all the work. Horn and Pressure Switch indicate when drying chamber is full so operator can turn off fill auger. Cooling Fan recirculates hot air from cooling grain back up to the drying chamber to help dry the next batch. Cooling Floor consists of perforated steel planks supported by steel floor support legs, designed for uniform air circulation. Complete System drying bin, cooling bin and storage bin all in one. Hands-on operation, requires management throughout. Seldom used on a round the clock basis. Relatively small batches at a time are dried. Designed for lower capacity harvesting or it would also require a wet-bin. Requires additional strength in the roof of the bin to carry the batch. Installation of fan high up at the eave. Not a favoured option any longer. The preferred way to batch dry batches up to 750 tons of maize is done preferably through a three bin system whereby the wet grain is harvested into a wet holding bin. 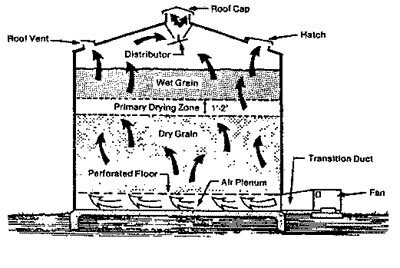 This bin has an aeration floor and a high volume of air is pushed through the bin to avoid heat build-up in the grain and to dry-aerate the grain on receipt. This may be a full aeration floor or a channel aeration floor. The drying bin is equipped with a full aeration floor and high volume and high pressure fan with heater and heat exchanger if necessary (diesel, oil etc.). The fan is started and the grain is dried when the floor is covered at around 300mm of grain to avoid the aeration floor from lifting. The stirring machine is started from the beginning and it mixes the grain thoroughly during the process, both vertically and horizontally. 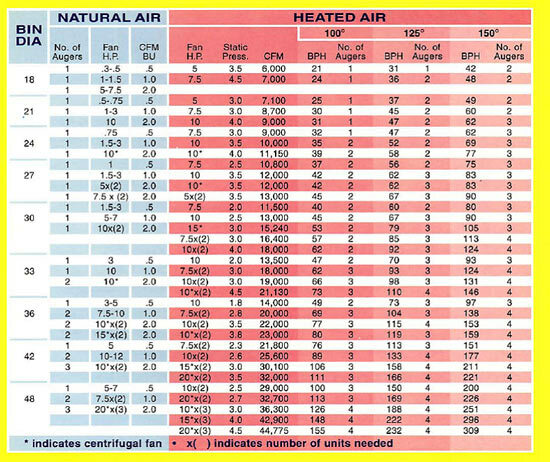 Heat of more than 100 degrees C can be applied as the volume of air ensures that the grain is not heat damaged. The moisture migrates constantly to the driest grain, allowing a uniformly dried batch. Depending on ambient conditions, the system is capable of drying 750 tons over a 3-4 day period with 3-5% moisture reduction. When the grain has reached around 1-2% above target moisture content, it is unloaded into the cooling bin where high volume ambient cool air dries the grain down to the target moisture content. After the grain has been allowed to cool, the grain is unloaded into trucks for delivery. The last batch is stored. If it is not important to run the drying system in tandem with harvesting rates, one drying bin can also be used initially and expanded until the desired rate is achieved. Continuous drying and harvesting is possible and the number of drying bins can be increased to cater for virtually any speed or capacity of harvesting. The system can be grown from smaller capacity to large capacity by adding more bins. Management time and dedication is not as important and the system can run 24 hour s day with almost no management during the night hours. Large batches can be dried. High drying temperatures can safely be used. For sensitive products such as paddy rice, low drying temperatures can also be used. Less damage to grain occurs. With the correct conveying system, high capacities can moved between bins. The bins can be used for storage throughout the year, other than continuous systems where equipment is used for a few weeks in the year only. 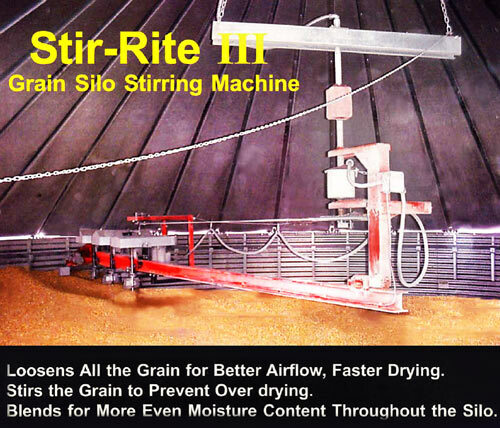 Least costly way of drying grain in terms of add-on equipment to silos required.